Play where you want - A 2.4 GHz wireless connection with up to a 30-foot range means you have more room to move. Feel the action - Vibration feedback gives you a riveting gaming experience. PC gaming at its best - Precise thumb sticks, two pressure-point triggers, and an 8-way directional pad help you stay in control. Get more with four - A USB transceiver allows up to four controllers to connect. For PC and Xbox 360 - Works across Microsoft's gaming platforms. 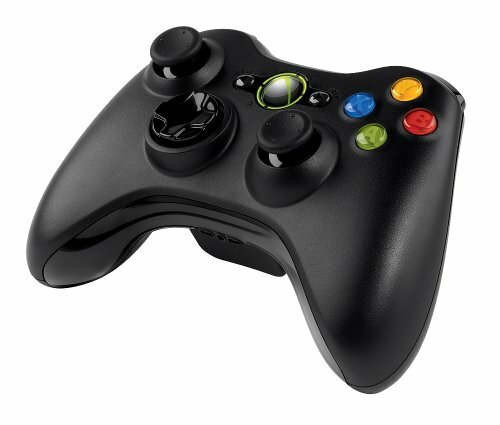 Xbox 360 Controller for Windows works with most Windows XP-based PCs and Xbox 360, delivering a consistent and universal gaming experience.